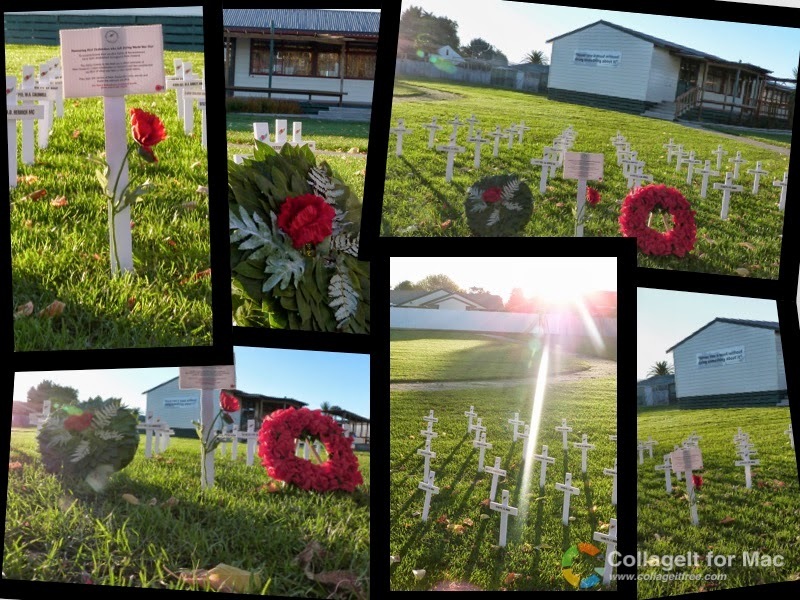 On Tuesday 28th of April, St Mary's held their Field of Remembrance Service at school. All classes had been busy creating poppies for the wall as part of their inquiry into different aspects of the ANZAC's and World War 1. The 30 crosses that represent men and women that fought and lost their lives in the first World War were set up beside the Assembly area. The Last Post was played by Marcello, a present student. We were joined by Sergeant Nick Hawke from the RNZAF who is a past student of St Mary's. He talked about World War 1 and the sacrifices that were made by those that went to war and by their families and loved ones here in New Zealand. Nick also answered students questions about what it is like being in the Air Force. I like how when it is singing in the string and there are a lot of cross around the area. I love the way how everyone made something special to put on the wall of the poppies. I loved how the crossers were set out so nicely. I loved that day. I had learnt heaps about it. 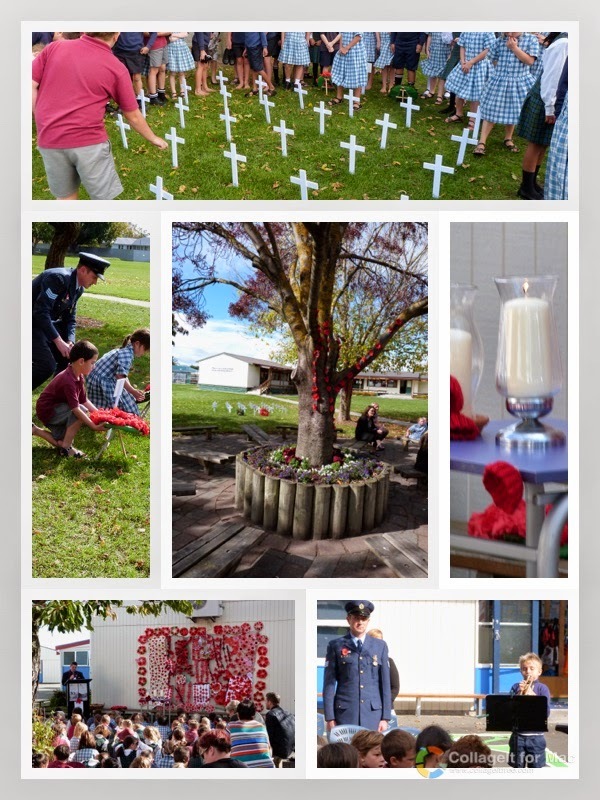 I thought that our school did a really nice ceremony to celebrate Anzac and all the dreaadful things these people went through.